Posted October 12, 2017 by Apoch. 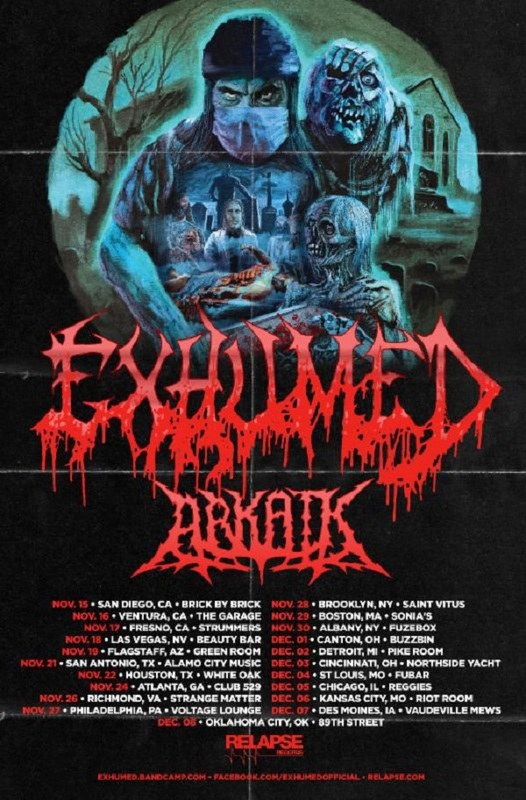 ARKAIK will support the gore metal miscreants in Exhumed on a US headlining tour later this fall. The journey will commence November 15th and run through December 8th. See all confirmed dates below. 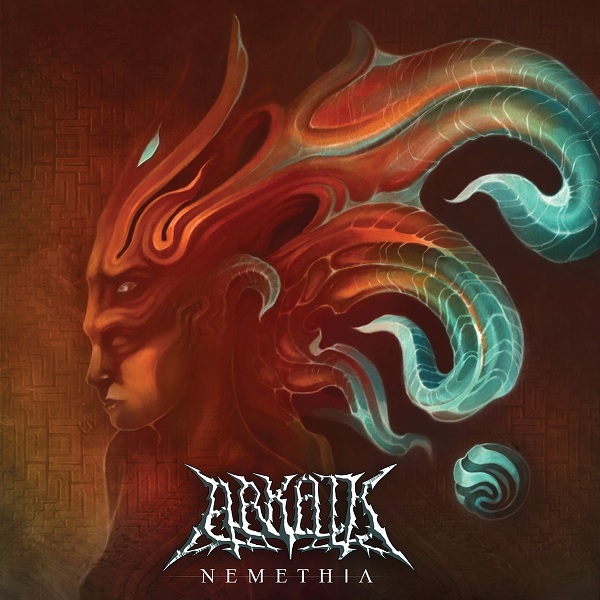 ARKAIK will be touring in support of their Nemethia full-length, out now and streaming via Unique Leader. Their most ambitious studio album to date was produced, engineered, and mixed by Zack Ohren (Immolation, Fallujah, Suffocation, Decrepit Birth et al.) 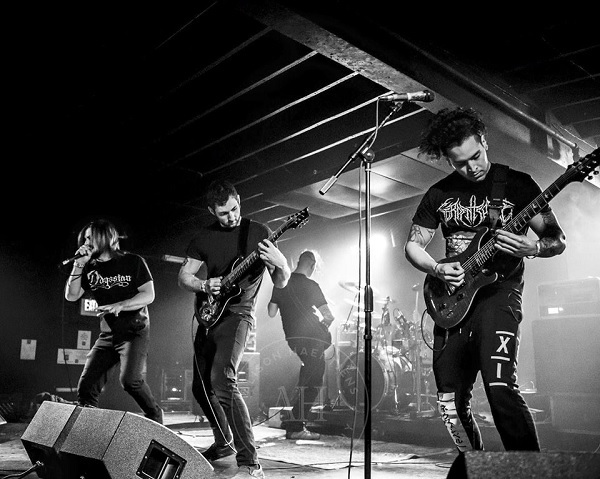 at Sharkbite Studios in Oakland, California, and features guest appearances by Joe Haley of Psycroptic, Arde Ostowari formerly of Burning The Masses, Stephen Paulson of the San Francisco Symphony Orchestra, and former ARKAIK guitarist Craig Peters, as well as Gabe Seeber from The Kennedy Veil and Decrepit Birth (live) performing drums for the entire album. The cover art and booklet was designed by visionary artist Tyler Space, who worked with the band on their previous release, Lucid Dawn. Nemethia is available on CD, vinyl, and digital formats; find merch bundles and more at THIS LOCATION. For digital orders go to THIS LOCATION..
ARKAIK has been crafting a series of wildly psychedelic concept albums revolving around a protagonist named Cyrix, a disillusioned character in a dystopian society. Cyrix’ latest journey introduces new characters and brings you into a world of dark occultists, magical allies, and hidden forces. From resurrecting ancient goddesses to cracking the codes of reality and activating hyper dimensional stargates, the chronicle of Cyrix continues.